I'm sure, there was an e-shop store in the past, which offered a VLF converter kit with SA612. But now I can't find it. Probably the sale has ended. 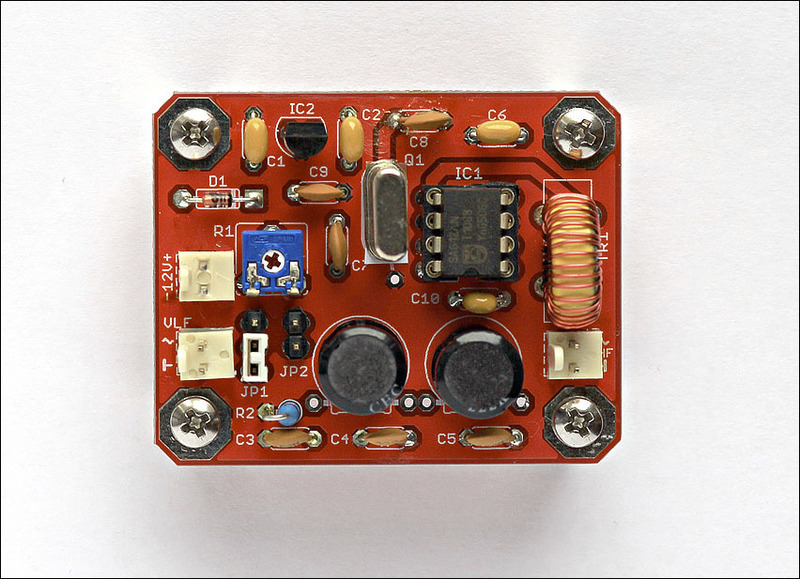 There is not much to invent with the SA612 converter. It is a well-known "low cost" mixer. Unlike a passive diode mixer this has a fairly decent gain. It is essentially a one purpose integrated circuit, so each of its terminals has a strictly defined function. 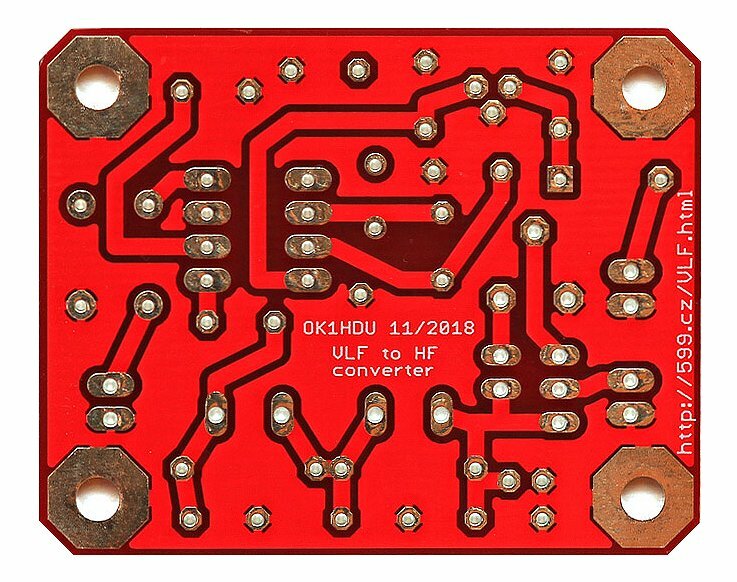 I used an impedance transformer at the output, to match the symmetric output from the integrated circuit to the 50Ω unsymmetrical input of the short-wave receiver (transceiver). I wound it on the yellow toroidal core Amidon that I had in my drawer. I think the material of the core here is not very important. I think we can use almost any toroid, even some from some old PC power suply. 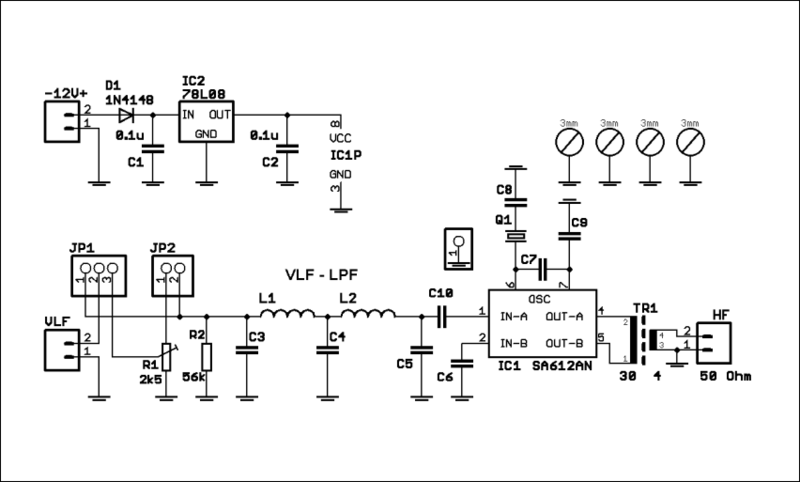 It also would be fine, to use a similar matching and balancing circuit at the input side. Unfortunately I don't have any transformer, which would be suitable for this purpose. For a range of input frequencies of about 5 to 150 kHz it probably would be possible to wind it on a low-frequency ferrite pot-core. But it seemed to me too laborious, so I used the unbalanced input circuit. 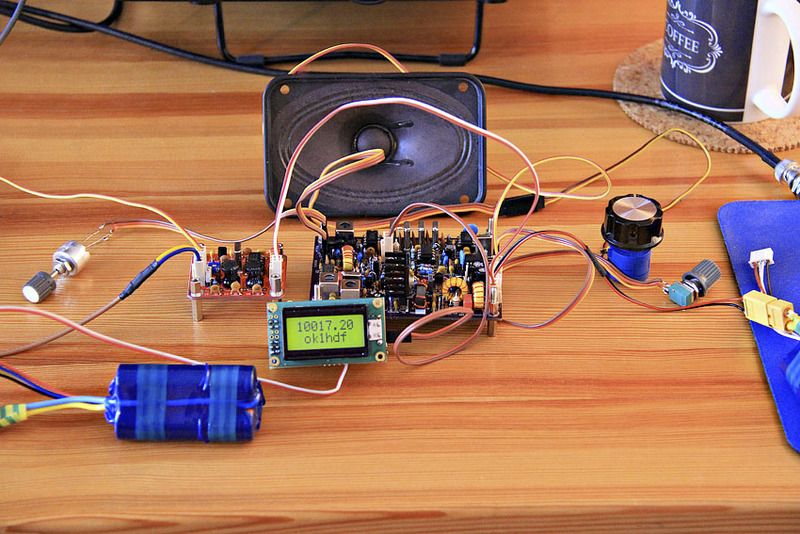 At first, I tried it with a Low Pass Filter (LPF) at the input for the impedance of 50Ω. But I achieved a much better result with a LPF designed for 1.5 kΩ, which is the input impedance of the IC (according to the datasheet). 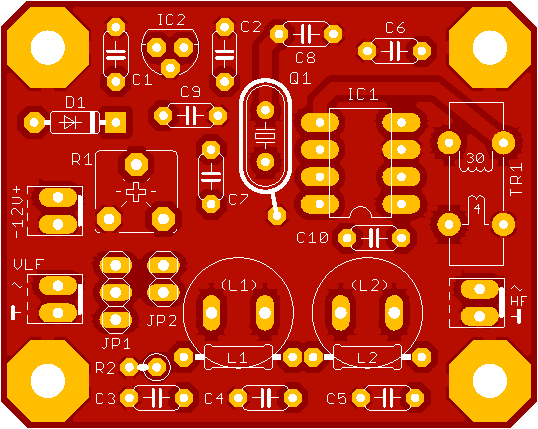 Components on the PCB in the picture are for the low pass filter at this impedance. The component values in the filter can be calculated using AADE Filter Design software. The circuit board is universally designed for radial or axial chokes. Depending on what value you need. 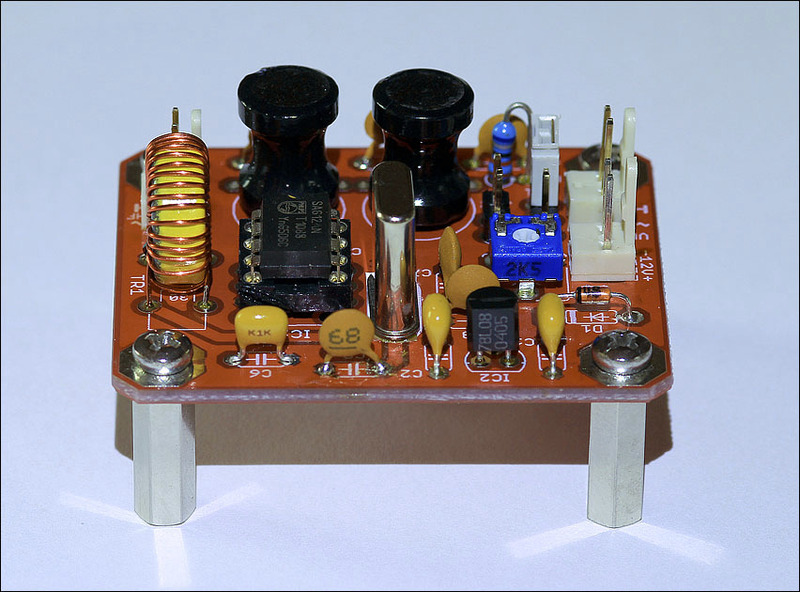 I was quite afraid of a low intermodulation immunity combined with strong AM broadcast radios on nearby frequencies, so I put an attenuator (the resistance trimmer) to the front. However, as practical tests have shown, it was not necessary. 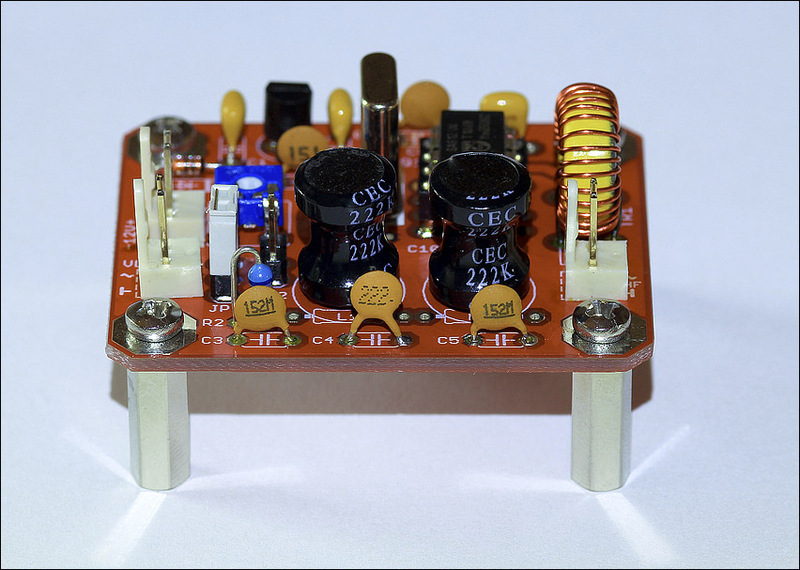 The attenuator can be incorporated or bypassed using the jumpers that are visible in the photograps of the assembled board (see also the schematic). 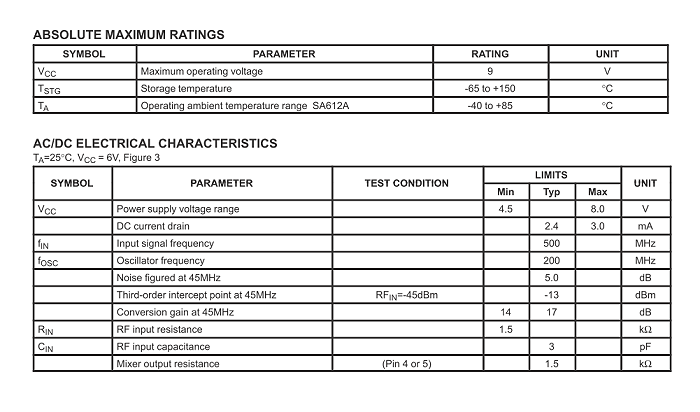 The voltage stabilizer is 5 to 8 Volts. 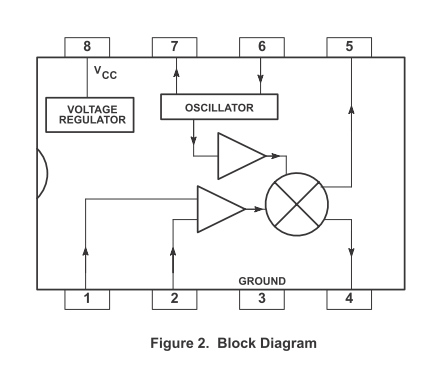 The integrated circuit can withstand a maximum of 9.0V. 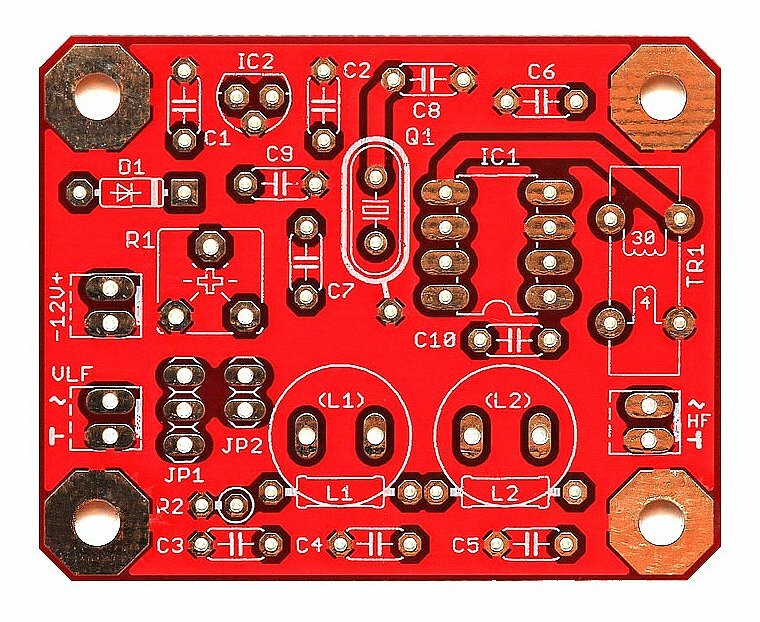 The diode D1 is just the reverse polarity protection. If you are confident, you don't have to use it. The resistor R2 serves to discharge any static from the antenna in case that you don't use the resistance trimmer (attenuator). The specific values of the components depend on the crystal frequency and also the highest frequency we want to receive. Practical tests have shown that the converter is more sensitive than the passive mixer when we have properly designed and matched the LPF. My worries about interference from AM radio stations were unnecessary. Next time we are going to try some loop magnetic or ferrite antenna. Finally, there is a demonstration of SAQ Grimeton reception at Christmas 2018. 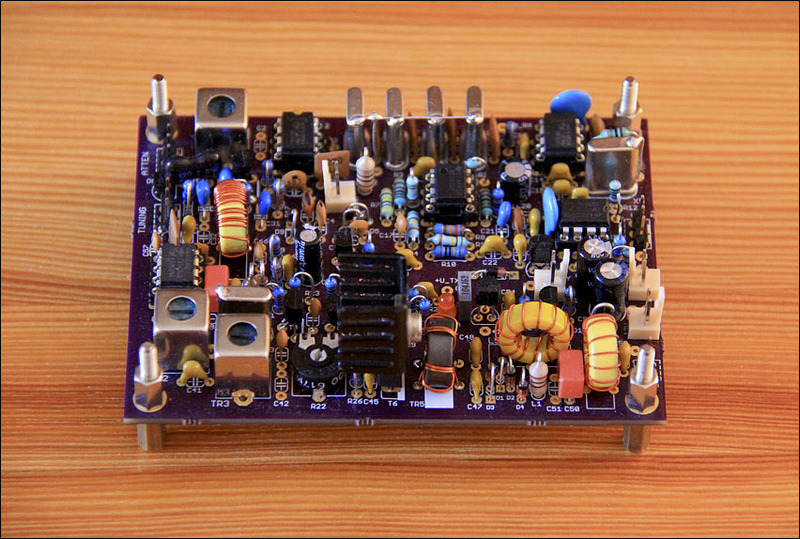 As a HF receiver, we used a home-made QRP transceiver for the 30m (10.1MHz) band. For this case, we moved the bottom edge of the tuning under the amateur band, down to 10MHz.